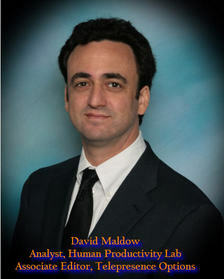 September 9, 2012 | David S. Maldow, Esq. LifeSize recently put out a press release containing two announcements related to their video bridging solutions. In the simplest of terms, video bridging is what happens behind the scenes to allow for multiparty, or group, video meetings. The big story is the release of a new video bridging component for the LifeSize software based UVC platform. The second announcement is about an improvement to their existing hardware based video bridge. Let's take a quick look at what these announcements are really about, and what this means for LifeSize customers. UVC Multipoint is a software based solution offering H.323/SIP video bridging at up to 720p resolution. Meetings can support up to 60 participants, with 16 being visible on the screen at a time. UVC Multipoint is the latest addition to the UVC Platform, LifeSize's virtualized, software based, video infrastructure solution. UVC previously supported VC recording, streaming, firewall traversal, gatekeeping, as well as an MS Lync video calling feature. The lack of a UVC bridging component was notable, particularly with all current industry activity regarding cloud based video bridging. UVC Multipoint nicely closes this gap, providing the expected benefits of a software based platform; Scalability, Affordability, and Ease of Use. 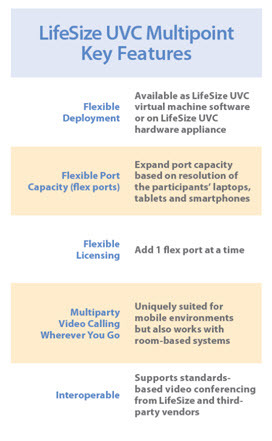 LifeSize notes that UVC Multipoint can be licensed on a port by port basis ($1,499 per HD port), for ultimate scalability. 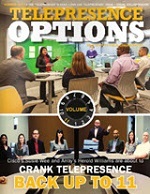 The solution was designed with the wave of BYOD / mobile videoconferencing in mind, as the layouts and resolutions supported are optimized for typical phones and tablets. The LifeSize Bridge is a 1080p hardware video bridge that competes well on price, but lacks scalability. With new support for clustering, up to 10 LifeSize Bridges can be connected and will work as if they are one massive bridge. This configuration gives these hardware bridges some of the advantages of some cloud based solutions, such as automatic failover. This means that if one bridge fails, calls are simply shifted to another bridge, without dropping the calls in progress. Another benefit of clustering is that ad-hoc callers will all dial into the same address, rather than a choice of 10 different bridge addresses (again, it acts as if it was one big bridge). Clustering provides an answer to the LifeSize Bridge scalability question, without sacrificing any of its advanced features or capabilities. At first blush, offering both hardware and software bridging options appears to be a recipe for confusing customers. However, there may be some logic to this strategy. On the one hand, everyone is talking about cloud video bridging, and LifeSize needs to get in the game as fast as they can. One may argue about whether LifeSize should make its software bridging part of UVC, a stand-alone offering, or even a service (e.g. Blue Jeans, Vidtel, VidyoWay, etc. ), but we can all agree that LifeSize customers want to enjoy the benefits of cloud based video as much as anyone else. It doesn't make sense for LifeSize to force them to look elsewhere. Nor does it make sense for LifeSize to turn away new customers looking for cloud based solutions, particularly as these same customers may be shopping for high definition videoconferencing endpoints. On the other hand, there is still a big demand for hardware based solutions, which offer a few benefits. For example, the hardware bridge can provide a higher resolution than the new UVC offering, and while 720p is generally sufficient for business use, 1080p is appreciated on those larger meeting room displays. The hardware bridge also supports other advanced features, such as increased layout options. Furthermore, some users may want to avoid cloud solutions so they can keep video on internal, protected, bandwidth for high profile conferences. For these reasons and others, consumers will continue to purchase hardware bridges, at least for the immediate future. LifeSize has a competitive bridge and there is no reason to abandon it simply because of the buzz around software bridging. 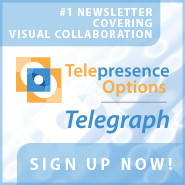 Right now the videoconferencing industry is at a somewhat painful transition point from hardware to cloudware. The traditional hardware bridge vendors (Cisco, LifeSize, Polycom, RADVISION/Avaya, etc.) are struggling to release cloud based capabilities as fast as they can develop them, while continuing to support and improve upon their hardware offerings. Meanwhile, customers are left befuddled by all the product changes and roadmap announcements. LifeSize, in the midst of this challenging atmosphere is trying to do what it is has always done, offer compelling, high performance solutions at prices well under current industry standards. The fight for business class video bridging just gets more and more interesting. LifeSize notes that UVC Multipoint can be licensed on a port by port basis (\$1,499 per HD port), for ultimate scalability. The solution was designed with the wave of BYOD / mobile videoconferencing in mind, as the layouts and resolutions supported are optimized for typical phones and tablets.